Things have turned very frosty between the pair. Kim Kardashian has threatened to “cut” Caitlyn Jenner after comments made about her late father Rob Kardashian in a tell-all book. The pair were rumoured to have a strained relationship after the release of Jenner’s book ‘The Secrets Of My Life’. However things were confirmed in a new scene from the upcoming season of ‘Keeping Up With The Kardashians’. 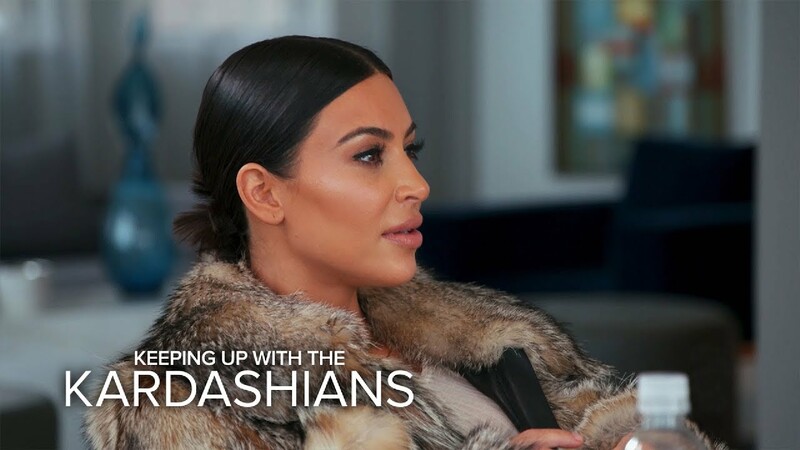 In the clip, Kim reacts to reading a section of the book, in which Jenner makes some serious accusations against her late father. "It says in Caitlyn's book, Robert Kardashian knew O.J. Simpson was guilty, but joined the defense team to get back at his remarried ex [Kris Jenner],” reads Kim. “Robert told Caitlyn in secret after the O.J. murder trial that he believed his friend was guilty." Kim then got angry and aggressive. “It is so shady that Caitlyn came over and gave me the book, and then on the phone she said, 'Well, the final version has a few more things in it. But don't worry, it's nothing about you.' So she lied to me. 'Cause that is about me if it's about our dad." "If you talk about my dad, I will cut you," she then says in an interview. "I've always had Caitlyn's back. But she is a liar. She is not a good person." Meanwhile, Kim Kardashian has also finally confirmed that she is having a third child with Kanye West.